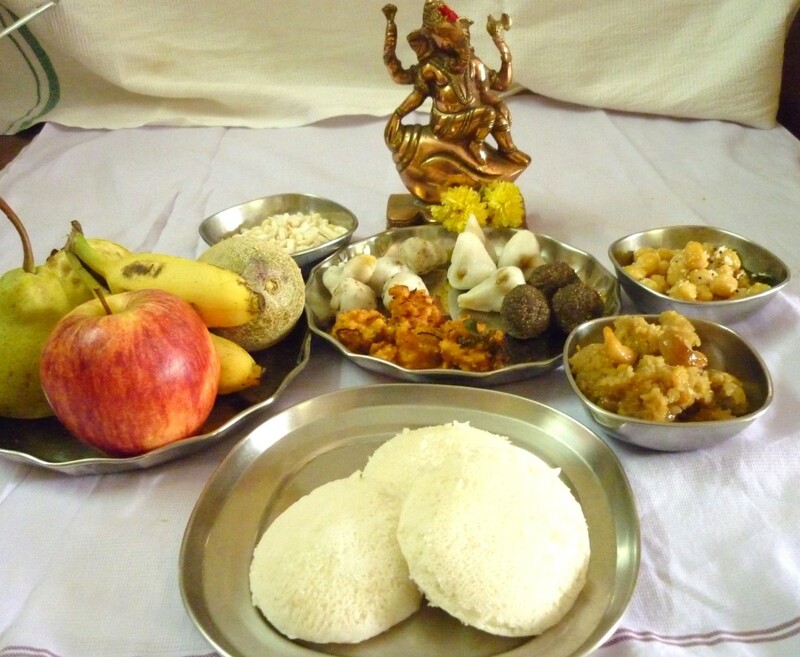 I hope everybody had a wonderful time celebrating Ganesh Chaturthi at home. We have had a great time since morning. Kids are tired and napping. And I quickly wanted to wish and share our celebrations today. 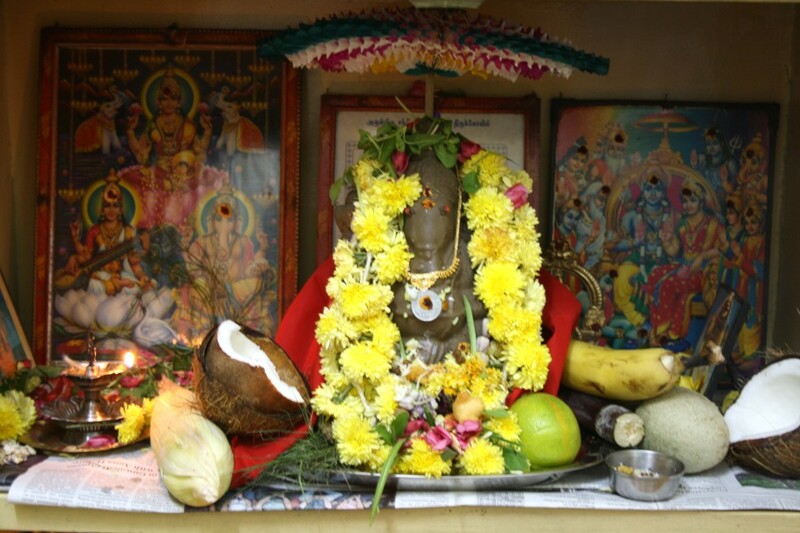 I was up early to make sure I had the neivedyam ready early for the pooja. We went to buy the Ganesh Idol and I went along with Hubby dear to the market for the shopping. Kids were busy playing and didn’t notice us leaving. I was sure they won’t have allowed us otherwise. We were buying for Amma also, so everything went in as two sets, which was fun. After I completed my pooja, I went to help Amma with her neivedyam. Hers is even more elaborate. tradition and this year she made few more dishes that she used to offer in her initial years of marriage. My cousin has come down to visit us, so when I went to parents home, I found Konda and my sister making the Sweet Modak, so I took up to make the Sesame Laddos. Amma said during her initial years of offering, she used to offer Idlies also. So she made them this year. Apart from the usual neivedyam, Amma also made Bellamannam or Sakarai Pongal, Sundal, Mixed Dal Carrot Vadas. 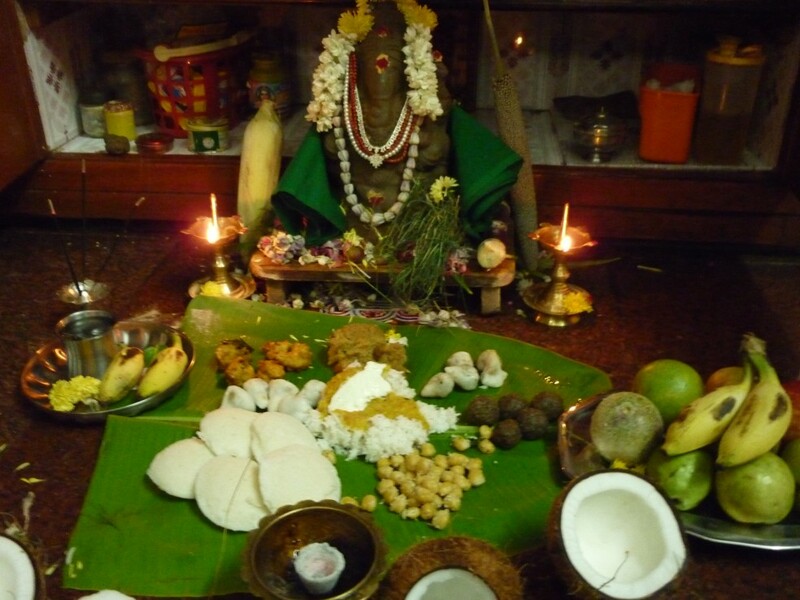 Seems u guys had a wonderful chathurthi feast..yumm! Wow! 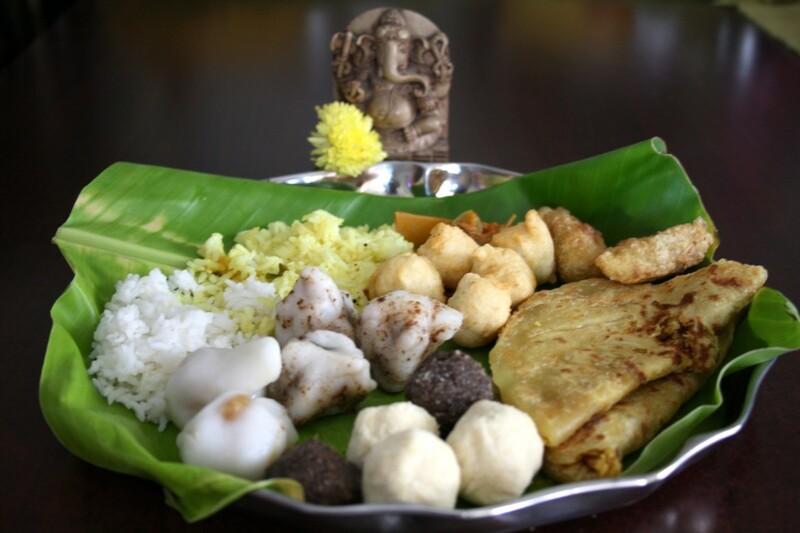 Happy Ganesh to you! 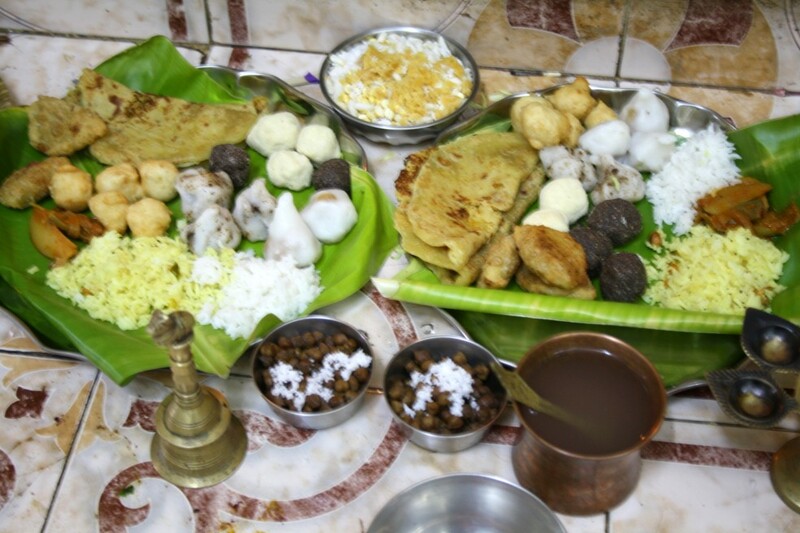 wow.. what a spread for vinayaka… nice decoration. What a lovely spread, Valli. And your amma's is even more elaborate. Lovely pics. Tried the modhakam per your recipe and need I say it turned out awesome? Thanks a lot. 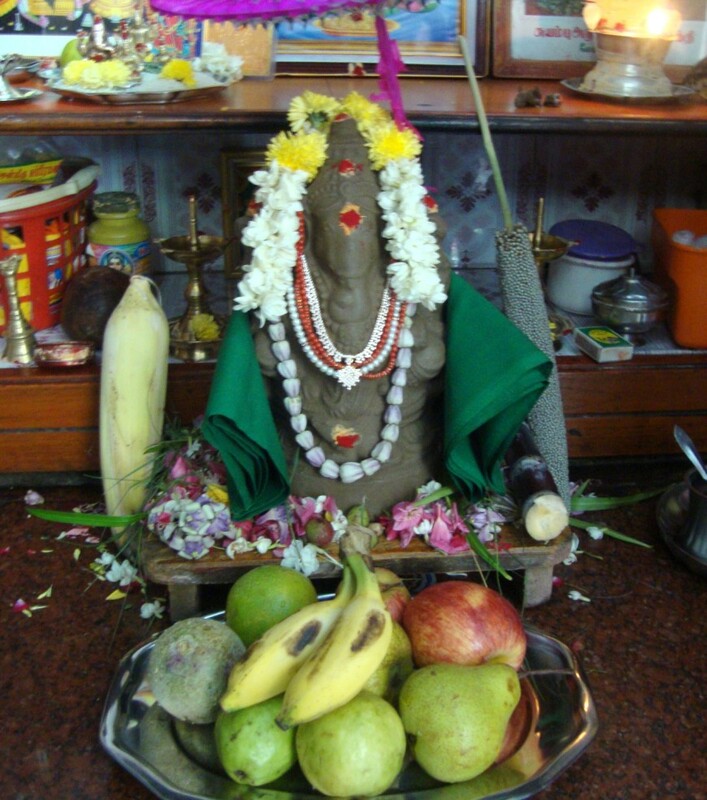 happy Vinayaka Chavithi to u and ur family…hope u guys had a fun day!